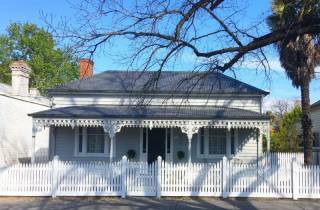 Stewart House is a newly listed with quality and stylish interior. Part of the Bendigo Holiday rentals group this is another great executive accommodation in Bendigo opposite the New Bendigo Hospital. If you are looking for quality Bendigo CBD corporate business accommodation rental then we have a listing for you. and opposite the New Bendigo hospital. 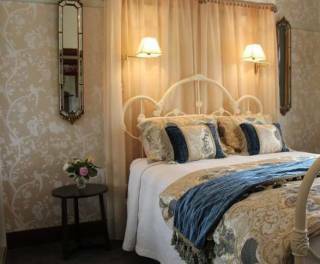 Great Bendigo accommodation for weekend retreats, short stay accommodation and long term executive accommodation. We supply quality linen, bathroom products and refreshments on arrival. FREE WiFi and lots of tourist info. 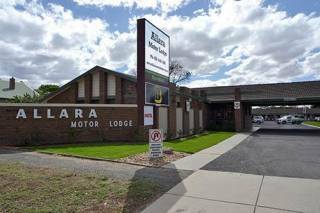 Located walking distance to central CBD, tourist attractions such as Bendigo International Maddison, Tom Flood Sports Centre, Ulumbarra Arts theatre, Bendigo Showgrounds, Bendigo exhibition Centre, Bendigo showgrounds, Bendigo Chinese Museum, Lake weeroona, Bendigo Tennis complex, Bendigo Aquatic Centre and so much more. The house is newly renovated so has everything you could need with brand new appliances, furniture and fittings. off street parking for 6 to 8 cars.... a rarity in this area! Pet friendly with a secure courtyard for your dog and also great for the kids. we supply a highchair and portacot at no extra charge! Lots of kids games, kids movies and books.... they will also love to stay! 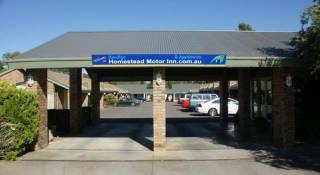 Are you looking for a 3-4 bedroom holiday accommodation rental apartment or house close to the Bendigo showgrounds, Bendigo exhibition centre and Bendigo hospital and walking distance to CBD? everyone who has stayed has rebooked or given great reviews!